Welcome (Back) to Pangkal Pinang – Where in the world is Kelly? For the last two weeks I have been in Bandung, a hip city about two hours away from Jakarta on the island of Java. I wanted to write sooner, but we were unbelievably busy in umpteen different sessions. Alas, I am back in Home Sweet Home, Pangkal Pinang. 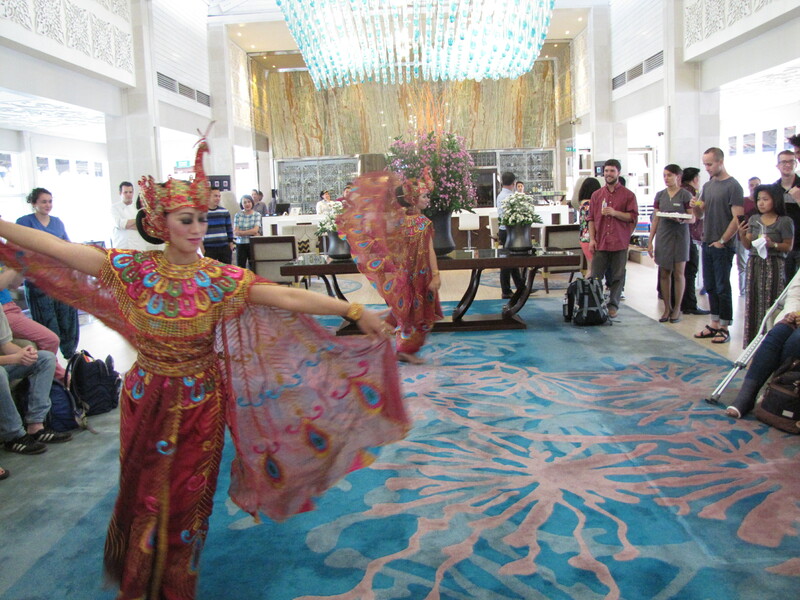 The dancers on the right were there to greet us in the lobby two weeks ago in Bandung. Homecoming in PP wasn’t quite as flashy but far more exuberant. Here I thought Ibu* Isnaini was going to pick up Caitlin and I with her husband, but we had a whole entourage of teachers, students, and extended family members. It started when a teacher at Caitlin’s school recognized us at baggage claim and we chatted a bit in broken Indonesian and dramatic charades. Our bags were among the last to come out, so Ibu Isnaini & Co were quite happy to see us when we finally did make it outside. We were whisked through some small streets that I have never seen before and stopped to have soymilk and snacks at a warung** on the way. Most things have fish in them, which presents a challenge for me, but there were coconut cakes and spring rolls that were filled with CHEESE, of all things. You order soymilk (hot or cold), eat your fill, and then pay for whatever you ate once you are satiated. And it works! Do you know what else this means? It means that I can study Bahasa Indonesia more effectively. It means that I can make awesome lessons plans with all of the resources of the Internet at my disposal. It means that there will be music all the time. It means that I can be a reliable Co-Editor-in-Chief for http://indonesiaful.com, a website run by Fulbright ETAs in Indonesia for which I now have partial administrative responsibility. And of course, it means that I will (hopefully) check in more often here at my own blog. Basically, life has never been better. In related news, while in Bandung I also got a smart phone! It is a Samsung Galaxy V Plus. Thanks to the fact that I have been using a Samsung tablet all summer (Thanks Uncle Dave^2 and Tom!!) it is quite easy to navigate. Jury’s still out on whether or not it will work in the States, but that is not so much my concern at the moment. 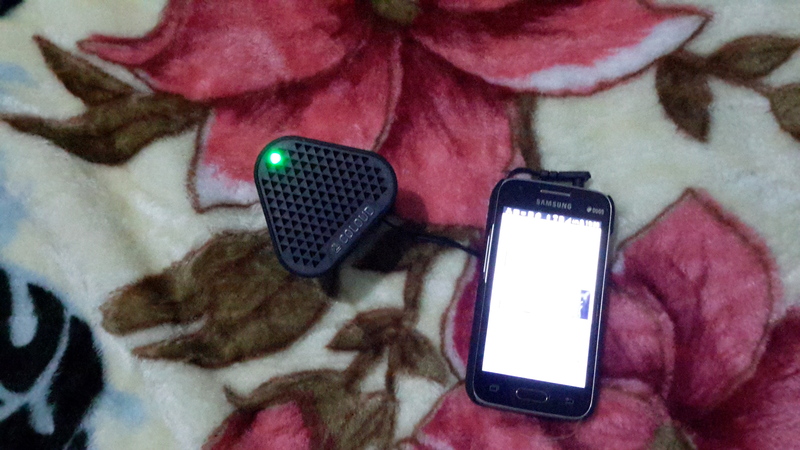 When I got the phone I also got a non-wireless speaker that just needs to be charged and plugged into a music-emitting device to work. The sound quality is only okay but it will be suitable for my purposes at home and in the classroom. Even better is that I can plug other speakers into it to amp up the sound. Exhausted from the past few weeks of non-stop sessions. I am totally fine with being in bed by 9 p.m. whenever possible while in Indonesia. Surprisingly relieved to be back in Pangkal Pinang. It felt unexpectedly familiar to come back after only being here for a week last month. 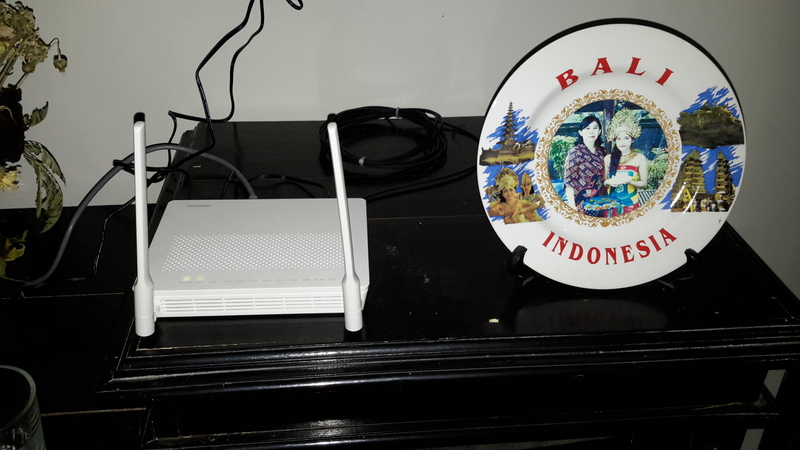 Everyone is so welcoming… from Ibu Isnaini, her unmistakable red hijab bopping up and down as she waved at my from outside the airport, to the pick-up truck full of neighborhood kids who squealed with delight and called “Miss Kelly! Miss Cate!” as the truck inched by parked cars outside my house. I guarantee news will spread and our stoop will once again by full of children tomorrow after school. Slightly nervous but still excited about my first day at school tomorrow. There will be some sort of welcoming ceremony for me, at which I will have to speak and address the entire school. I am allowed to do it in English, though I will try to throw in some Bahasa Indonesia. My language skills continue to improve, though you don’t know how many words you actually use each day until you are trying to have a conversation and realize that you don’t know half of the words needed to express a simple thought. But I know that step by step and with lots of dedicated practice, some semblance of fluency will develop. Contemplative. We had some particularly thought-provoking sessions yesterday. One included discussing the transcript of “To Hell With Good Intentions,” a speech made by Ivan Illich in an address to the Conference on InterAmerican Student Projects in 1968. This speech made me seriously consider why I am here, where I have been, and the reasoning behind going where I (might) want to go. Powerful stuff. We also had the chance to meet ETA alumns from previous years who now live in Indonesia for different reasons, and it was illuminating to hear their takes on this upcoming experience as well as give insight into what possible Next Steps might await us…. The Fulbright network is a powerful tool indeed. * Ibu is the polite form of address for an older woman. It can translate to Mrs., though it literally means Mother. So in a way, every woman in Indonesia is Mom. The same goes for Bapak, or Pak for short, which means both Mr. and Dad. ** Warung refers to any type of small, family-owned business, but it is most often used (among foreigners at least) to refer to small, sidewalk eateries. PS Of course we very much look forward to pictures. I’m so happy& proud of you. We had an awesome time at Burning Man. Lots of good laughs & special moments with your brother. He fit in & is welcome back anytime. We’ll have lots of pictures to show you. I look forward to keeping up on your adventures as a teacher. Hello Frauline! Enjoying your blog from so far away. Uncle Ezell and I enjoy describing where on earth you are… Between Sumatra and Borneo, way south of Cambodia. He like to correct me with your words from the blog. Ezell banter style. Wow, the adventure sounds like it is turning out to be everything and more you had hoped. I’m so glad. Teaching has its oun rewards,. What an opportunity . It will be interesting to see what effects it will have( the whole year) on you when you have returned home and can reflect back. Hallelujah for the Internet! I’ve just come across a lesson plan web site for teachers you might appreciate . TeachersPayTeachers.com it was a story in the NYTs.and of course my favorite( and the NYTs favorite) Kahnacademy. Org. Hi Kelly, Congrats on the Fulbright. I like to follow individuals who seem brilliant and are doing exciting things – and I hope to offer you some encouragement. I’ve read Mr. Illich’s speech to the Conference on InterAmerican Student Projects in Mexico, 1968. Obviously I don’t know specifically what you found to be “powerful,” but my view is quite different from his. The signature statement: “To hell with good intentions…You will not help anybody by your good intentions.” And: “I am here to challenge you to recognize your inability, your powerlessness and your incapacity to do the “good” which you intended to do.” With intellectual respect to the Monsignor, I think that’s a bunch of bullcrap. The American Heitage Dictionary terms “intention” as: “An aim that guides action; an objective”. I noticed on your other posts that you like to make lists and do advance planning. So logically and practically, your life is partially directed by intention. (Looks to me like that’s been working out pretty good for you so far!!) But perhaps more important to me, is a secondary definition of intention as the medical “healing process of a wound”. For most of my adult life, I have financially supported friends and family that have served in Liberia, Ethiopia, Kenya, Australia, Central America – and in Sulawesi, Indonesia. Despite unbelievable hardships, every one of those wonderful people would say only how “blessed” and “humbled” THEY had been by the generosity and love shown by those they came to help where possible. So, forget that old, tired speech: you’ve got the right stuff to change the world for good.